I have just recently watched a video of a young women’s vision through a dream she had, of what martyrs in the great tribulation in the last days will suffer, on the internet and it really scared me. Also some visionaries have being saying that some people will choose to stay behind after the rapture, to help other Christians that are left behind. Another visionary said that Jesus was going to take His bride last June, but because of prayers it was delayed. Jesus has told her it is going to be delayed by months, not years. This visionary I do trust, because you can hear it in her voice that she is closely connected with God. So as a result I have been praying and fasting for martyrs especially the martyrs in the great tribulation that their faith will be strong enough to make it. I am receiving so much grace and reassurance from God that I feel like He is saying, if we stay close to Him, all things will work out well. So it got me thinking about the young women’s vision. So many Christians were committing suicide, rather than face being tortured by the Anti-Christ and his men. I thought I could easily be one of them, then I remembered a few favourite passages that I have wrote down, they didn’t come from the Bible. There are great many things in the Bible that strengthens me, especially lately. The one I want to show you, is one promise from God by a Catholic prophet, that I read every day for years. If you want to gain strength to make a sacrifice, don’t look at the sacrifice. Look at My joy. You are still too little for me to tell you that the only end is suffering, for suffering, you see, is the surest way of coming close to me and being like me. My conclusion is simply stay focus on Jesus, don’t look at yourself at all. If you look at your weakness you will fall. If you keep your eyes on Jesus, He will give you all you need to get you through everything and anything. Even if it is by supernatural means. Now everybody is going to tell me, ‘I could have told you that.’ So could I have told myself that, but for some reason when we face a problem with fear, we forget all that we have been taught in a moment. So it is real important to pray to forget self and only keep your eyes on Jesus. Now I know there are some occasions we can’t keep our minds on Jesus, but the more you think of Him, the more you commune with Him, the more He becomes part of you and you Him. So He does become your life. When you live for Jesus alone, you will experience His peace in everything that comes your way. I can’t remember how it came about, but I do remember asking a friend who was a Protestant, if she was interested in saying the rosary with me. I was rather, shocked because she said yes. I told her there are two ways of saying the rosary. The most popular way when people come together and say the rosary, is while we say the prayer ‘Hail Mary’ our minds drift off to meditate on the mysteries of our redemption. In other words there is three main mysteries we meditate on while saying the rosary. The joyful, sorrowful and the glorious mysterious of Jesus’s life. The joyful mystery is the lead up to and the birth of Jesus and His early childhood. The sorrowful mystery covers Jesus suffering in the garden of Gethsemane and the lead up to the crucifixion. The glorious mystery is meditations on the Resurrection and what follows after it. Then I explained my favourite way is using a book on scripture verses on these subjects already set out for you to use while meditating on the mysteries of the rosary. I just find it a lot easier to meditate that way. So she was happy to try to meditate on the joyful mystery by the help of the rosary with me. Some Catholics will only say one mystery a day, but Jesus is saying, because of the times we are living in, He wants us to say the three mysteries at least daily, which takes about an hour to do. But because she was new at it, we thought we say one mystery which takes about twenty minutes would do her, for a while. Like most Protestants, me included when I was a Protestants, are very nervous about praying to Mary, because most people think praying is worshiping, but that is not what we are doing here. Praying to Mary doesn’t stop there. We pray to her so that she in turns prays to God on our behalf. When I was young I thought what was the point of that, why not pray to the top, meaning God. The journey God has taken me through life as a Catholic, He has taught me that I can do with a helping hand. In other words my faith united with Marys is a whole lot stronger then when I pray alone. If only Protestants can see that! I pray constantly that more and more Protestants realise that Satan is interfering with them, he doesn’t want them to know that God actually wants to use not only Mary but all the saints in heaven to be invited in our prayer life. They all will help us if we only believe in the communion of saints, like we are supposed to. In the Apostle Creed, which Protestants and Catholic say they believe in. In this very old creed we say we believe in the communion of saint. Protestants only believe in angles helping out. What the Protestants don’t believe is that Saints and the whole of the inhabitants of heaven are eager to serve God by serving us? All churches that started from a disciple of Jesus, who walked the earth with Him and was taught personally by Him, are very similar to each other. I was told by a women who was from the Greek Orthodox Church, which was started by the disciple of St. John, are told if they move to an area where there is no Greek Orthodox Church they are to attend the Catholic Church. Why? Because the old churches are very similar to one another, we all honour Mary for starters, we all celebrate the Mass, we all sign ourselves with the cross etc. There is a lot of talk among Protestants that the Catholic Church did not start with St. Peter. I believe it is so because when Protestants would argue against the Catholic faith, we would all come back with and say the Protestant Church broke away from the true Church. So I really believe they didn’t like that answer so some historians or whatever, went looking for ways to disapprove it, which in fact they really haven’t. For example Catholics can trace our Pope’s back to Saint Peter, who we consider to be the first Pope. One thing they forgot to do, is discredit all the old churches that started with one of the twelve disciples of Jesus. They forgot all about them and I don’t know if they realised how similar our beliefs are to one another. Our ways being similar doesn’t surprise me, since they all learnt from the same Master, Jesus Christ. I believe the Catholic Faith is a continuation of the Jewish Faith, that is my personal opinion. The Protestant faith is so different in many ways from the older churches. To me that is evidence in itself why Protestants shouldn’t judge the Catholics as not being Christian. There are plenty of Protestants and Catholics that get on with one another and respect one another’s differences, which is the way it should be. Mind you both Protestants and Catholics beliefs are about ninety eight percentage the same. People who argue against one another ignore that because, they are too busy fighting one another to hear one another out. The Holy Bible is the foundation on what both the Catholic and Protestant Churches beliefs based from. There are some verses in the Bible we interrupt differently. I still believe Protestant have much to share with Catholics, but they too also have much to learn from us. If they had a clearer understanding how they misinterpret what is behind the actions of Catholic practises, they might even agree with the wisdom behind it. Samuel was told by God man judges by outward appearance, but God looks into the heart. I have studied this in people on every occasions to be so true. For example a Protestant sees a Catholic who say is going through a very hard time. The Protestant notice the person is never without her rosary beads. They conclude that she is turning to Mary and not God to solve her problems, which is far from the truth. When a devout Catholic is praying the rosary non stop, not only is she asking Mary to pray for her without ceasing and remember we believe Marys intercession is by far more powerful than our own, not only that, she is also meditating on the redemption of our souls. She is meditating either the Sorrowful, Joyful or the Glorious mysterious, which is ninety eight percentage wise, reflecting on what Jesus went through for our salvation. So without the Protestant realising it they imagine she is worshiping Mary. There is so much misunderstanding between the churches. I believe Satan is doing everything possible to discredit the teachings of the Catholic Church, from working within the church itself. I remember when I was very young I went to a Catholic retreat, because I was considering to become a nun. Young women and men attended the retreat to find out more about the life of a religious and most of the guys were interested in becoming a priest. There were nuns and two priest leading the retreat. One of the priest was a very kind and holy man, but not the other one. I don’t know how I knew, except to say the Holy Spirit revealed to me, one of the priest was a Satan worshiper and he knew that I knew he was. He was so proud and was laughing at me and basically saying what can you do about it. Why I am bringing this up is how many evil people are wolves in sheep skins portraying as holy priest and pastors of God? I think there is a whole lot more going on than we realize is possible. And they are handpicked by Satan to destroy the churches from within. Anyhow his job was to select who will become a priest and who will not. So you can imagine what kind of men he would picked to enter in the priesthood. After my friend and I said the rosary, it was now no longer a mystery to her. She now knew clearly what the rosary was all about. And she now understood what the prayer ‘Hail Mary’ was about. The prayer has a history to it that many Protestants don’t know. And because they don’t know, Satan uses it against Catholics, so that people make wrong presumptions of what Catholics actually believe in. For example we say ‘Mary the mother of God.’ They don’t understand why Mary has this title, it is because there was a time in history that people were saying Jesus is not God. 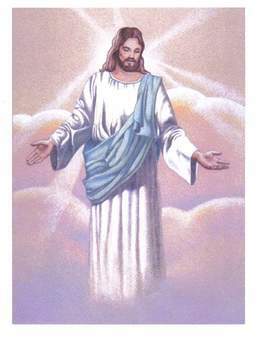 Christians all know Jesus is God the second person. But at this time in history people were refusing to believe it, so the Church wanted to clear this heresies up by saying Mary is the mother of Jesus who is God the second person. We know Mary is not the mother of the Holy Trinity. But because people don’t know what we are actually saying they presume they know what we are actually saying. Like the human race we all have a tendency to see what we want to see, which is usually saying I am the superior one. Study people, most people are always running somebody down so that they can feel good about themselves. After saying all that, I know there are very, very special Protestants out there that respect Catholics as a Christian. I have sisters that are Protestants and my father that I love very much was a Protestant and all the friends over many years God has given me, are mostly Protestants, so I am not against Protestants. Lately I have been very hurt by what some Protestants teachers and prophets what they are saying about Catholics. They are telling the world we are not even Christian. I have had Protestants friends that have told me. ‘I like you but I hate your church.’ How do you think that comes across? You love me but hate my family that have helped groomed me to be the person that I am, that you say you like. They don’t realize what they are saying. I know what I am saying is hurtful to some and I sure don’t want to hurt anybody, but I am hearing it all the time at the moment. So I have a need to stick up for my faith that I love so much and thank God that God has lead me to this faith. My family background has taught me that both Protestants and Catholic have a great deal to offer one another if they are only willing to listen to one another. Catholics prophets that have warned against this current pope years before he came into being and saying he is going to do his best to break down the true Catholic teachings to complete heresies. He is going to divide the church of God. How sad. The Fifteen Promises for those who recite the Rosary. These promises where given to Saint Dominic and Blessed Alain. I love the scriptural rosary best of all. I find I meditate on the mysteries of our redemption a lot better. Some people might object strongly to the ninth promise. It says if we say the rosary we will be delivered from purgatory. 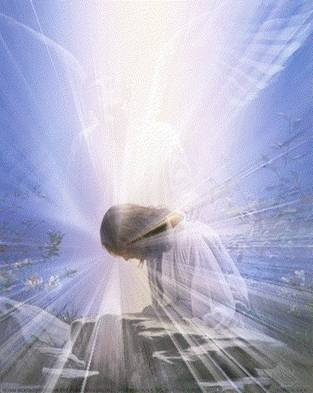 Many people think that is unscriptural, which I believe is very unfortunate, because many people are in purgatory longer than they need to be, because their love ones may believe they are safe in heaven. Since they don’t believe in purgatory they are not praying for their love ones release from such a terrible place. Believe it or not most Christians after death go there, because they do not obey the commandment to love God with all their mind, body and strength. They may love God three quarters some even less, but very few love God with their all. Many visionaries are saying only twenty percent of Christians will met Jesus in the air when He comes for His church. Why only twenty percent, because eighty percent of Christians are basically living to please themselves, not God. And sometimes we don’t have enough faith to really believe God has forgiven us. In Matthew 18:34 it mentions purgatory, it may not say purgatory, but Jesus is talking about it. Long story short a servant, because he refused to be merciful as his master was to him, was sent to be tortured for his behaviour until he paid the last penny he owed. In other words he was not to get out until he paid all his debt. Hell we know once we go to hell, we do not get out. And there is so many testimonies about people being free from purgatory from somebodies prayers, there is so much evidence if you care to look. I can tell you at least six of my own personal testimonies about purgatory, how my prayers have helped certain people in purgatory. The thing is people are not always very flexible with their beliefs. They are not always listening to God but human pride. If you come from a different church, especially the Catholic Church, most people are not humble enough to at least look into it and find out from God, if the person is actually saying a truth. It gives Satan’s great pleasure to divided God’s church over and over again, so as to weaken it. The rosary shall be a powerful armour against hell. It will destroy vices, decrease sin, and defeat heresies. It will cause virtue and good works to flourish; it will obtain for souls the abundant mercy of God; it will withdraw the hearts of men from the love of the world and its vanities, and will lift them to the desire of eternal things. Oh, that souls would sanctify themselves by this means! Whoever shall recite the rosary devoutly, applying himself to the consideration of its sacred mysteries shall never be conquered by misfortune. God will not chastise him in His justice, and he shall not perish by an unprovided death; if he be just he shall remain in the grace of God and become worthy of eternal life. 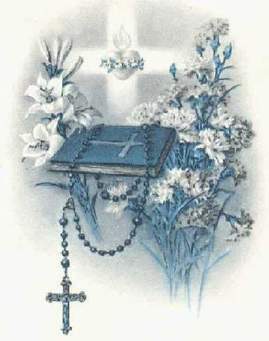 Those who are faithful to recite the rosary shall have during their life and at their death, the light of God and the fullness of His graces, and at them moment of death they shall participate in the merits of the saints in paradise. 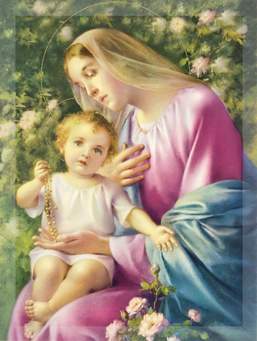 All who recite my rosary are my beloved children, the brothers and sisters of Jesus Christ. Catholic are often accused of worshiping Mary. Unfortunately some do, but they completely ignore the ones that don’t worship Mary, but see her as a spiritual Mother. Who has great influence on her Son, because of her faithfulness and complete surrender to Him while on earth? We all have great influence on Jesus if we surrender to Him, some more than others. Not because Jesus loves one more than the other, but simply some pleases Him more than others. The more you live for God, the more powerful your prayers become. Partly because the more you surrender to God your faith levels grow considerably as did Mary’s. Just because you die and then go to heaven, it doesn’t mean you stop working for God. Mary complains to the Fatima Children, ‘why do you keep me so idle.’ God has given her so much power to intercede for us, in other words she really knows the heart of her Son and knows how to pray far better than any of us. If you worship her you are in danger, but if you see her as a great master piece of God, who encourages us to grow in the faith, we too be able to really help out in heaven.